Summary: A replication of the famous Marshmallow test has reveal some interesting new insights into the psychological development of children. Researchers report there is no indication the test was able to predict later behaviors or personality measures in children. Interventions focused on teaching children to delay gratification are likely to be ineffective, researchers say. A new replication study of the well-known “marshmallow test” – a famous psychological experiment designed to measure children’s self-control – suggests that being able to delay gratification at a young age may not be as predictive of later life outcomes as was previously thought. Published in Psychological Science by Dr. Tyler W. Watts, an assistant professor of research and postdoctoral scholar at New York University’s Steinhardt School of Culture, Education, and Human Development, and his colleagues, this replication uses a larger and more diverse sample of children to reexamine whether the marshmallow test does in fact predict longer-term cognitive and behavioral outcomes. Dr. Watts’s research finds that although the marshmallow test conceived by psychologist Walter Mischel is related to later achievement, the relationship between a young child’s ability to delay gratification and later outcomes is much weaker than previously thought. 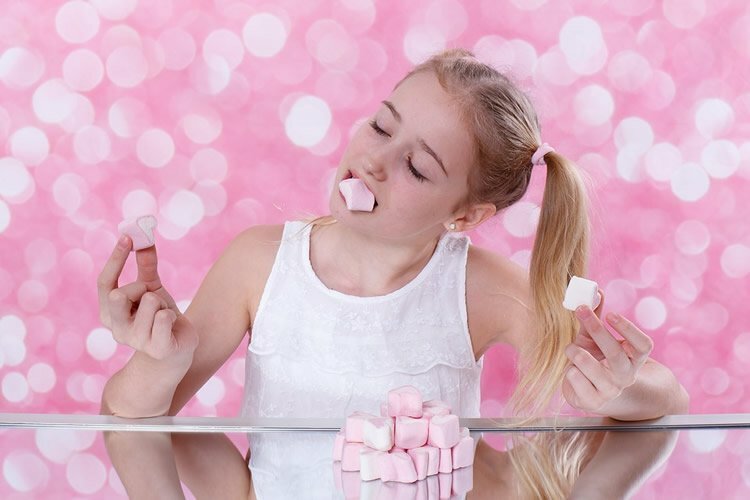 The new study discovered that while the ability to resist temptation and wait longer to eat the marshmallow (or another treat offered as a reward) did predict adolescent math and reading skills, the association was small and disappeared after the researchers controlled for characteristics of the child’s family and early environment. And there was no indication that it predicted later behaviors or measures of personality. The authors concluded that interventions focused only on teaching young children to delay gratification are likely to be ineffective. The data for this study were drawn from the National Institute of Child Health and Human Development Study of Early Child Care and Youth Development, a geographically diverse dataset widely used in the field of developmental psychology. Dr. Watts’s research finds that although the marshmallow test conceived by psychologist Walter Mischel is related to later achievement, the relationship between a young child’s ability to delay gratification and later outcomes is much weaker than previously thought. NeuroscienceNews.com image is in the public domain. In addition to using a large sample (918 children), Dr. Watts created a subsample based on maternal education and focused much of the analysis on children whose mothers had not completed college by the time the child was born. This subsample was more representative of the racial and economic makeup of the broader population of children in the U.S. (though Hispanic children were still underrepresented). Participants in the original experiments were limited to children from the Stanford University community. Dr. Greg J. Duncan and Haonan Quan of the University of California, Irvine, contributed to the study. Original Research: The study will appear in Psychological Science. We will update this post with a link to the abstract when it is available. NYU “New Observations Following Replication of Famous Marshmallow Test.” NeuroscienceNews. NeuroscienceNews, 25 May 2018. NYU “New Observations Following Replication of Famous Marshmallow Test.” http://neurosciencenews.com/marshmallow-test-delayed-gratification-9137/ (accessed May 25, 2018).